Pokemon Zincite Version will bring a new atmosphere with familiar things into this game. Yup, there are many different Pokemon Leaf Green hacks out there and this one is one of the most worth-playing hack. Pokemon Delta Green (Zenon Returns) : Not only Pokemon FireRed, Pokemon LeafGreen is also used to create a hack called Pokemon Delta Green – Zenon Returns. 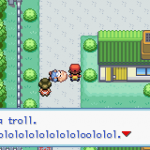 Pokemon Daia : If you have known Pokemon Gaia from PokeCommunity, Pokemon Daia (a hack of Pokemon LeafGreen) is a weird hack which became a troll version of it. 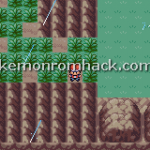 Pokemon Emerald Green : A Nuzlocked Pokemon hack… do you know what does that mean? Especially it is the first hack of a newbie? 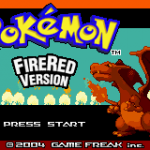 With Pokemon Emerald Green – a hack of Pokemon Emerald, let’s prepare for many difficulties ahead! Pokemon Keratin Version is a hack of Pokemon LeafGreen. Kahuto: a modern area for modern men, is filled with hope for young, illegal immigrants, such as your own. 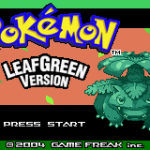 Pokemon Sea Green Advance is a hack of Pokemon LeafGreen. It is not another boring hack like some others, according to the words of this author. Bag Monster Ultimate Collector’s Edition is a Chinese hack of Pokemon LeafGreen. Ponymon Dusk/Dawn: If you have ever watched the “My Little Pony: Friendship Is Magic” show, then you will happily enjoy a Pokemon FireRed/LeafGreen hack which contains your favorite characters: Pokemon Dusk/Pokemon Dawn. It seems that the authors of this game are also the fan of this series.